Your satisfaction is the whole of our job. If you are not 100% thrilled with the results, we will return to make it right. We promise. All of our employees have extensive safety training. We've got WCB coverage and 5 Million dollar liability insurance policy. Stay safe. Stay on the ground. Very talented. And not just at the art of a streak-free third story window. A large majority of our workforce is made up of actors, musicians, and artists. So when they drop by, don't be surprised if they break into song. We're very proud of the company we keep. 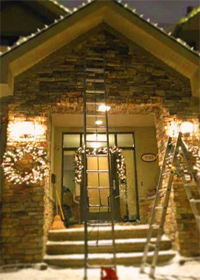 And think it's important that you know that when you hire Heights Residential, you are not just getting clean windows. You are also supporting the Arts. 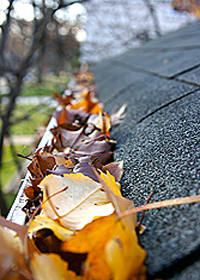 Keep your gutters flowing freely & SAVE! 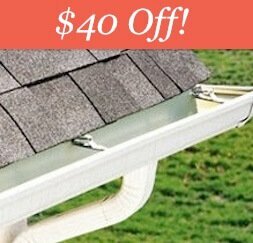 Window Cleaning + Gutter Cleaning = $40 OFF. Show your home some love & SAVE! 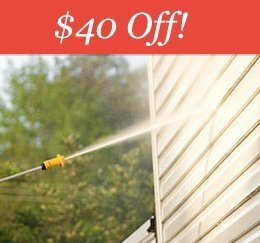 Window Cleaning + Pressure Washing = $40 OFF. 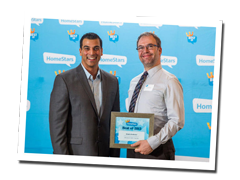 Winner of "Best Window and Gutter Cleaning Company" for the 7th year in a row! ★★★★★ I absolutely LOVE this company. I'm a consistent customer (I think this is year 5 now) and they always do an impeccable job for a great price. I highly recommend them! ★★★★★ I have used Heights for window cleaning and could not be happier. It has been about 3 years I have used their service and always have a positive experience. The staff are all very helpful and polite. I would recommend Heights for window cleaning as they are professional, prompt, and my windows look amazing. Never have I had any problem with their service. 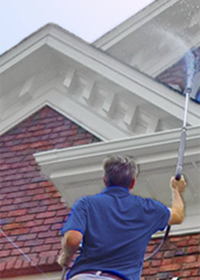 ★★★★★ Heights Residential has been a company that has done my eaves cleaning and windows for two years now and they are by far the best and most cost-efficient. And I have an old and very high two storey house that they negotiate easily. There people are wonderful and very kind, as well. I wouldn't use anyone else. 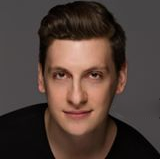 ★★★★★ Leif and Evan just left my home and I had to write and tell you how thrilled I am with the wonderful service they provided. From the get go, I have been so impressed with articulate and attentive communications with you at the office. Now, the proof is in the pudding…I mean windows…and in the excellent job done by these young men today who worked hard with thoroughness and excellent attention to detail. They were clean, well spoken, friendly, and courteous. What a delight to find that your company specializes in work for people involved in the arts in various capacities. It is a pleasure to be able to support their various works in this small way. I will definitely be spreading the good word of your company to my many contacts in the homeschooling community and otherwise. Thank you again….and please stay in business for a long time, as I look forward to having Heights crews in once or twice annually for years to come! ★★★★★ Excellent work. Completed the booking for work all online, no phone calls needed for anything. Paid online even! Workers showed up when they said they would and did a fantastic job...coming from an OCD person too! Will definitely use again! Very reasonably priced! Just fill out the form. An estimator will take a look at your home and provide you with a tailor-made quote.